What’s good it’s ya boy G! I can’t believe summer is coming to an end. Is it me or does it feel like time is just flying by? Maybe that’s because we are on our grind and focused on our goals. It’s crazy how fast time goes by when you are executing. You ever feel that way? The crazy part is it also always feels like there are never enough hours in the day to get everything you want done… haha. You definitely know what I’m talking about. I guess that’s why you need to be a master of yourself and have all of your goals really outlined so you stay on track. Remember, it’s about that consistency that gets you to the top and keeps you there when you make it. Never become complacent with today or yesterday. Always look to better yourself personally and professionally everyday. So what are goals you need to execute you on tomorrow and the day after and the day after that? Do you even know? Be honest with yourself. 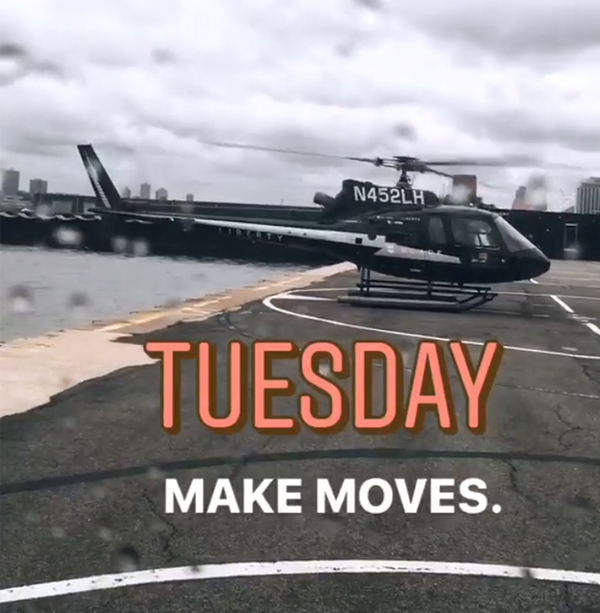 You may have the grand vision like many entrepreneurs but knowing how to stay grounded on all the boring tedious work you need to execute on day after day is what will ultimately separate you from your competition. On a side note: my prayers go out to all the families that have suffered from Hurricane Harvey. It’s a terrible disaster that I’m sure was very unexpected and many families didn’t have flood insurance. Let’s all help any way we can. I happen to have family there and luckily my Uncle and Cousins are safe. That is what’s most important. Remember, materialistic things are replaceable but family isn’t. 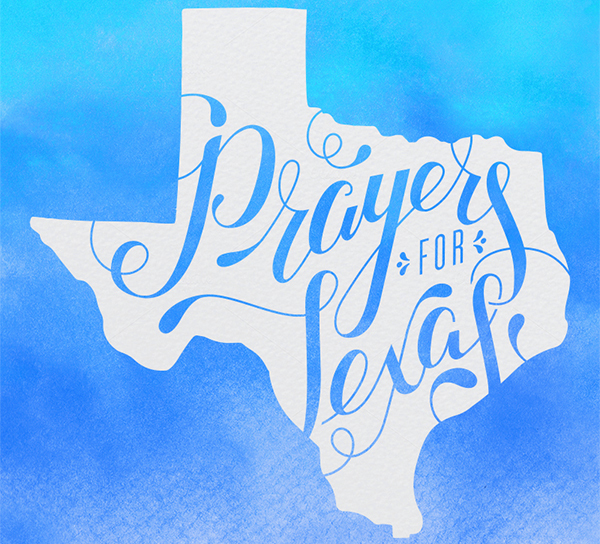 Take a moment today to send love to your loved ones and pray for all those affected in Houston. Prayer is what keeps me going. Some updates for you guys, last week was one of the most amazing accomplishments in my entire career. I got asked to speak in Buffalo for Startup Grind powered by google and I gave one of my best speeches. Video coming soon. After the speech, I was presented by the city and Mayor a proclamation that they made August 23rd “Gerard Adams Day“! I was literally in complete SHOCK when they read this proclamation. I still can’t believe it. They honored me for all of my work within entrepreneurship and specifically what I’m doing as a leader for minorities looking to make their dreams come true through the principles of entrepreneurship, personal development, and economic development. I also had a big day last week with my newest brand deal airing with a commercial for Sprint (<- click to watch me talking about HUSTLE!). 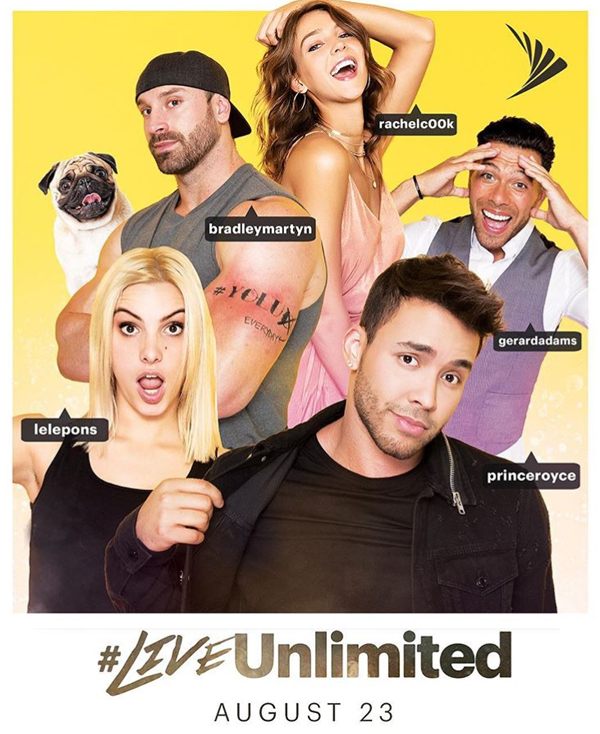 The video is for their Live Unlimited campaign and we shot with some cool influencers. Talking about FOWNDERS, I am stoked! Since our beta launch we have now close to our goal of 500 initial users aka “the ride or dies”, the real day 1’s. Seeing how the community has grown is pretty amazing and in just 2 weeks we have had over 10,000 messages on our slack channel! Insane! I believe we have the most elite entrepreneur network in the world on slack and we haven’t even gotten started! On top of that, FOWNDERS V2.0 is releasing end of this week. Some of the new features will be a timeline to help you find all of our new learning content easier. We will also be adding user profiles so you will be able to search other FOWNDERS and connect with them like you would on Linkedin. Each week will be adding new features to make FOWNDERS the #1 proprietary social-learning platform in the world. 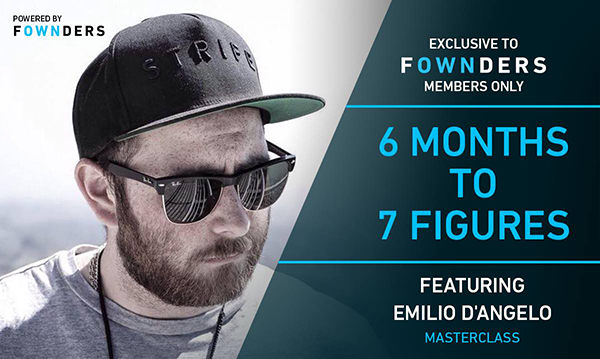 If you’re a member already then make sure to check out our latest masterclass just added to the ‘PRODUCT’ vertical listed as 6 months to 7 figures. In this masterclass series, my boy Emilio shows us how he launched a consumer product using Shopify, Facebook, and some of his secret tactics to smash launching a product online and create a new income stream. We literally build a new product using his strategy and filmed everything live on camera with a screen share that shows you all the steps. 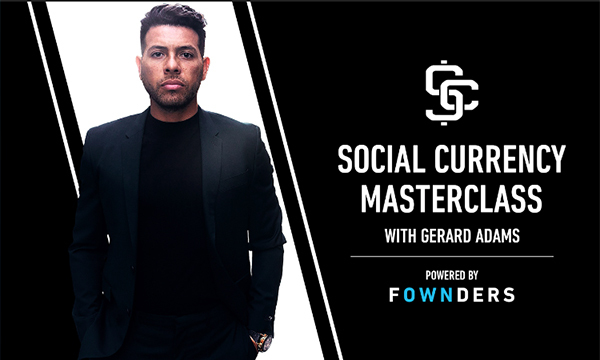 To access the masterclass you just need to join the movement and become a FOWNDER – that simple. I don’t know what you’ve been waiting for!! Think about this… while all these other wantrapreneurs are out selling you on courses or webinars yet they never actually built their own successful business before making money on selling you through their ads or while college is charging you $25,000+ a year in order for you to get an MBA degree, you can be saving all of that money to invest into yourself and your business! I’ve started most of my businesses for less than $5,000-$10,000! 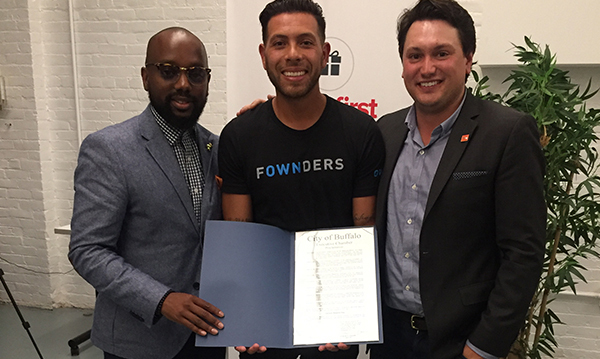 By joining Fownders you will not only learn directly from me someone who has been a real entrepreneur investing, creating, building, scaling and exiting startups and businesses for 14 years but I’m the most connected millennial in the world! By becoming a FOWNDER you instantly have ACCESS!! I’m bringing some of the worlds most elite experts to come to our platform to mentor and share their knowledge on how they did it! All for $27 a month – less than what it will cost you to fill up a tank of gas every month. If you pay for the annual membership then you get a personal Mentorship session with me (a $10,000 value). Trust me, you need to be a part of this network, this platform, but most importantly… this MOVEMENT. Family, talk to you soon. 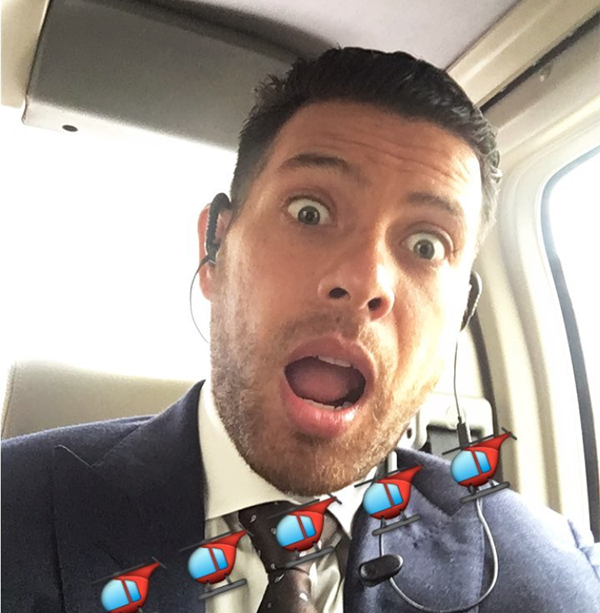 I gotta jump I’m on a helicopter about to land to meet the Governor and my mentor Ryan Blair.